What many of these same patients don't realize is that they can find relief from their dental anxiety by learning more about sedation in dentistry. When people think sedation, they often association it with an IV, an anesthesiologist, and maybe a hospital stay - in fact, the most popular form of sedation dentistry (i.e., oral sedation) doesn't involve any needles at all and is self-administered. At the point where a few jitters keeps you away from your yearly checkup or your worry about the dentist turns into a dental phobia, you might want to consider conscious sedation as a way to tamp down your anxiety and make your next dental visit the most relaxing one yet. Recent statistics show that nearly one in five patients avoids the dentist altogether because of dental anxiety, which amounts to forty million Americans or more. If you're battling a dental anxiety then you probably also have uneasy feelings about calling your dentist for an appointment or making the date itself. The thing to realize upfront is that sedation in dentistry can make visiting the dentist much less stressful than it would otherwise be. Many of the above beliefs are actually myths since sedation dentistry is also known as pain-free dentistry, which dispels the first myth. Going to a sedation dentist should provide you with the peace of mind in knowing that you can discuss the idea of oral sedation, dosage and timing with your sedation dentist beforehand. What's more, the fact that you're talking it out and taking proactive steps to control your anxiety means that you're much less likely to feel embarrassed during your dental visit (myth #2). You're also exhibiting more control over your visit by working out the level of anxiety and pain management that you need before heading into the dentist's office (myth #3). What's also encouraging is that most patients leave the sedation dentist's marveling at the fact that their dental session went by so effortless…and quickly. There's nothing like anxiety to make the time feel like it's standing still - fortunately the opposite is also the case. When you can manage your anxiety and when you know that you can rely on more localized forms of pain management throughout your dental procedure, a lot of your anxiety washes away and the session flies by (dispelling myth #4). Even if you don't suffer from dental phobia, you're probably curious about what a painless and anxiety-free dental session would be like, right? Since most of us have a little trepidation over an upcoming dental visit, or just a mild fear of the unknown, sedation dentistry might be worth exploring, especially considering the fact that the oral sedatives used in sedation dentistry are FDA approved and the dentists who provide those medications are ADA-trained and CODA-certified to do so. The last two points touch on a common benefit to sedation dentistry - it can allow sedation dentists to complete one or more dental procedures back-to-back. While the most popular form of dental sedation is still oral sedation, minimal to moderate sedation using oral sedation and/or nitrous oxide is also a way that patients can squeeze more dental procedures into a smaller block of time. Sedation in dentistry, though, isn't exclusively for the time-strapped or only for patients suffering from a dental phobia. 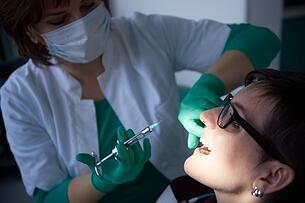 Oral sedation can help most patients have a more relaxing, pain-free dental experience. 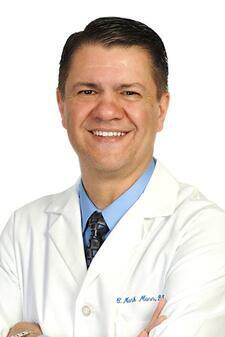 Could sedation dentistry be right for your next visit?